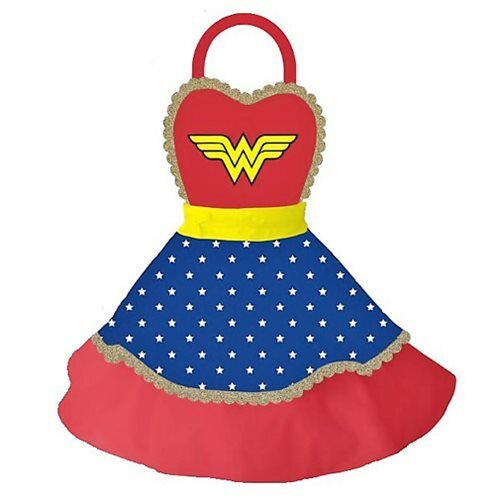 Shopping for Wonder Woman Aprons? What sort of dishes do you think Diana Prince serves her guests? Considering her beauty and power, probably anything thing she wants to! You too can dominate your kitchen like an Amazon warrior princess in this striking Wonder Woman Apron… if you order it now.